Expert roofers with a proven track record, honest and dependable offering great advice for keeping your roof in tip top condition. Call today! Need roofing contractors you can rely on? We offer both Private and Commercial roofing guttering services to suit all requirements. Roof Smart are a small family run business with over 15 years of experience in the roofing and building trade. 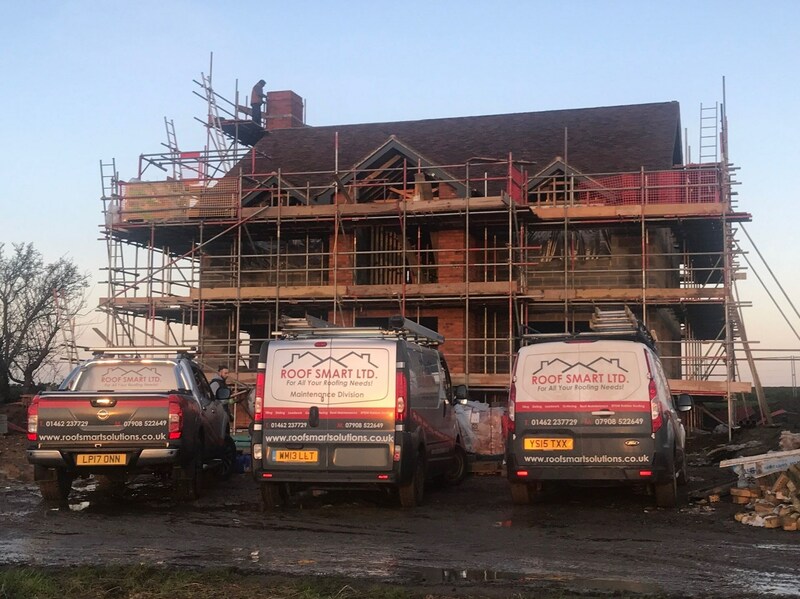 We cater for all types of roofing and believe no job is too big or small, we are based in Hitchin in Hertfordshire and cover all surrounding areas. Roof Smart employs only the utmost in professional roofers. Each of our employees are trained to the highest standard, ensuring that five star customer service and quality of work is the top priority. Our vast experience and passion for all types of roofing enables us to always be available to offer free advice on any roofing enquiries you may have. We do not send a salesmen to properties to pressure potential clients into purchasing a new roof, we send a highly knowledgeable Roof Smart professional roofer who will give you a free roof condition report and recommend the best way to overcome any of your roofing issues. Our goal is to ensure our clients are happy and fully understand what we may or may not be quoting for. Read some of our roofing reviews. We take Health and Safety seriously and provide all our employees with the correct personal protective equipment (PPE) to carry out the job safely and efficiently, we do not believe in cutting any corners. We have full Public Liability Insurance with £5 Million cover. Roof Smart offers a 10 year guarantee on all new roofing works completed and 3 years guarantee on any remedial repair work. Call Roof Smart Ltd today for free advice and free no obligation quotation on your roof! Looking for specialists in guttering and downpipes or fascias and soffits too? Contact our friendly team at Roof Smart today for your FREE no obligation quotation and FREE roof condition report.